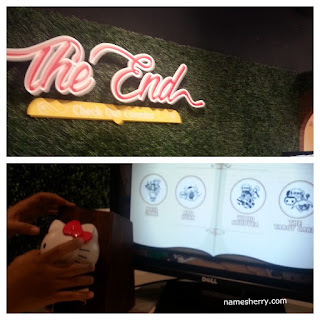 Last month I blogged about the Journey to Hello Kitty in Oz begins, have you read about it? If not you can still click on the link above to read. 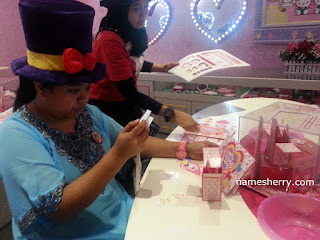 Last Friday, I was at Sanrio Hello Kitty Town located strategically in Puteri Harbour, Nusajaya Johor. I was with other media blogger from Kuala Lumpur and Singapore. My attired for the night, being a Witch as try to be one of the characters in Wizard of Oz. I am wearing my plus size purple dresses that I bought online. Welcome speech byFahruddin Najumudeen, General Manager of SANRIO HELLO KITTY TOWN and The Little Big Club. 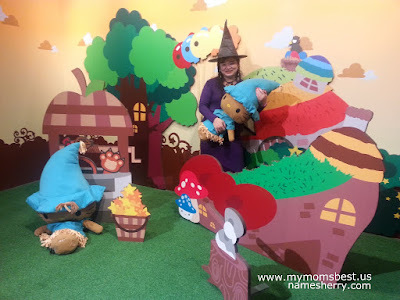 Hello Kitty in Oz is finally here at SANRIO HELLO KITTY TOWN. The Wonderful Wizard of Oz is a timeless classic that has brought joy and magic to countless lives and to have it adapted to Hello Kitty is truly something to celebrate. This will be a permanent addition to SANRIO HELLO KITTY TOWN, and this will be an experience that will excite children and adults alike as this is the only Hello Kitty in Oz attraction in the world. There's dancing performance in the evening and everyone's enjoying themselves. Hello Kitty in Oz: The Lost Chapter takes place after Dorothy defeats the Wicked Witch and returns home. There have been widespread rumours that the Land of Oz is ending and Hello Kitty the Great Witch is very worried. In a decision made with a heavy heart, she removes a chapter from the Great Book of Oz hoping to alter the ending. However, her actions proved to be detrimental as the Emerald City Machine malfunctions and Oz is plunged into chaos. To help her on her quest to save Oz, she calls on her brave heroes to band together to save Oz. Hello Kitty in Oz is SANRIO HELLO KITTY TOWN's latest attraction in Puteri Harbour, Nusajaya. It's fun thrill day for everyone because we love Hello Kitty, can't wait to walk through attraction and transport self to Oz itself. 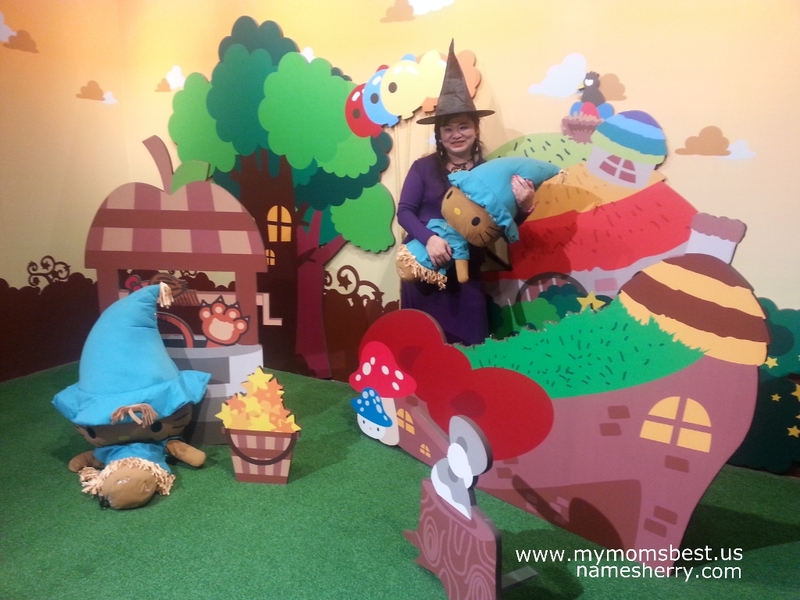 Everyone gets to know where Hello Kitty takes on the mantle of The Great Witch of Oz. Do you know that SANRIO HELLO KITTY TOWN is the first SANRIO HELLO KITY TOWN themed attraction the world outside of Japan? When we enter the Hello Kitty In OZ, we are given each Hello Kitty merchandise in hand. This merchandise need to give back after usage as we need to go through the activities there. 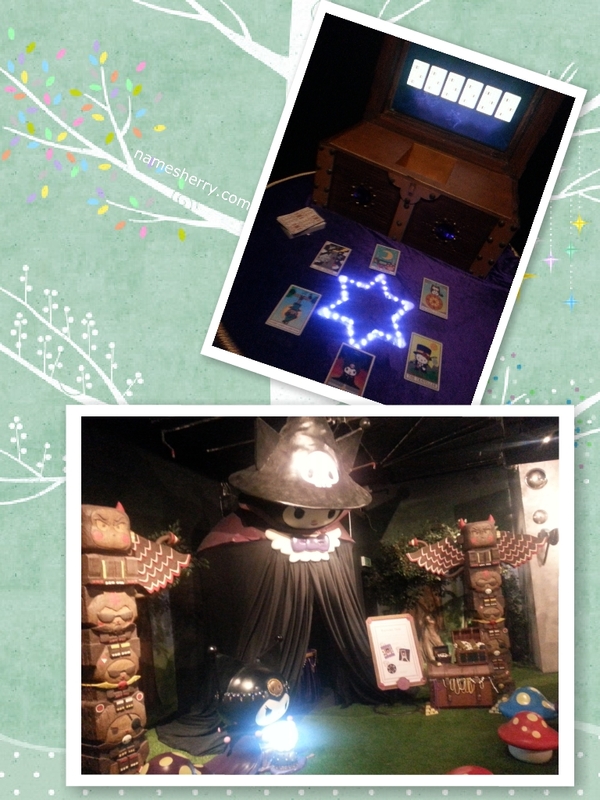 Don't you just love the Hello Kitty in Oz entrance. Don't forget to snap a picture at the entrance. Just outside the Munchkin Village, you will come across Kuromi the Fortune Teller who offers to read your fate with her cards. But do not fall for her readings and pay close attention to the cards she deals. Your fate is in your own hands. Sob Sob.. I failed this one. The Great Witch calls on you to challenge your strength and determination. This looks so easy but I failed this, there is no retake at all. So give your best shot! In his haste to answer the Great Witch's call, the Tin Man has abandoned his post. As a result of this, there's not enough wood to warm the hearts of Oz. How fast can you go chopping the wood? Well, you can to look at the screen to follow, you can't simply chop the wood you like. How well can you control the wood fire? There is a row of corn ready and cooking on the open fire. It's good time here for me as I passed this activity. I can take control of the heat, and make sure that the corn comes out tasty, bright, and golden. I bet nobody likes a burned corn. Once you've travelled the length of Oz, you come to the getaway to the Emerald City. Enter and be sure not to be distracted by the flying fishes. Remember, the fate of Oz still lies in your hands. Locate the Emerald City Machine and use it to capture the letters from the lost chapter in order to save Oz and return home! Looks so easy but it was a tough one for me. It's a fun filled place for kids and grown up to be. Even bigger heart for those that love Hello Kitty like me. 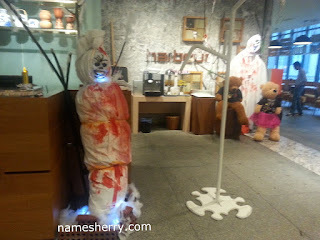 It's a lot fun for grown up and kids, don't worry if you failed some activities. After the scan, you'll get a postcard that shows the result of four activities you took part. I have two passed out of four activities done in Hello Kitty In Oz: The Lost Chapter. If you are interested to shop for limited edition Hello Kitty in Oz collectible merchandise, it is available in a dedicated Hello Kitty in Oz retail store called "Oz World Alley". This is very cute card in the making and look Nannie is excited and wanna capture this sweetest moment. You can make this card, it's a nice gift for loved one. In addition to the Hello Kitty in Oz attraction, the parents and kids or grown up will also be able to enjoy various activities within SANRIO HELLO KITTY TOWN. There will be daily Hello Kitty Carnival parades happening as well as a sing-along session for the kids. Hello Kitty fans will rejoice as they will be able to meet and greet beloved Sanrio characters such as Hello Kitty and Badtzmaru during their time at SANRIO HELLO KITTY TOWN. Everyone will be happy to visit the Hello Kitty’s life-sized house and craft special Hello Kitty themed souvenirs. For more information on Hello Kitty in Oz, please visit SANRIO HELLO KITTY TOWN’s Facebook page (https://www.facebook.com/SanrioHelloKittyTown) or visit the official Instagram page https://instagram.com/sanrio_hellokittytown/. 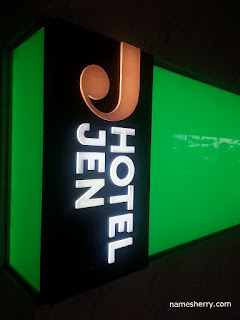 Last Friday, we have overnight stay at Hotel Jen Puteri Harbour. It is just 5 minutes walking from Sanrio Hello Kitty Town. Traders Hotel Puteri Harbour, Johor has rebrands as Hotel Jen Puteri Harbour in April 2015. This is the tenth hotel to adopt the new Hotel Jen brand by Shangri-La International Hotel Management Ltd. Catering to a new "Jeneration" of independently minded business and leisure travellers. 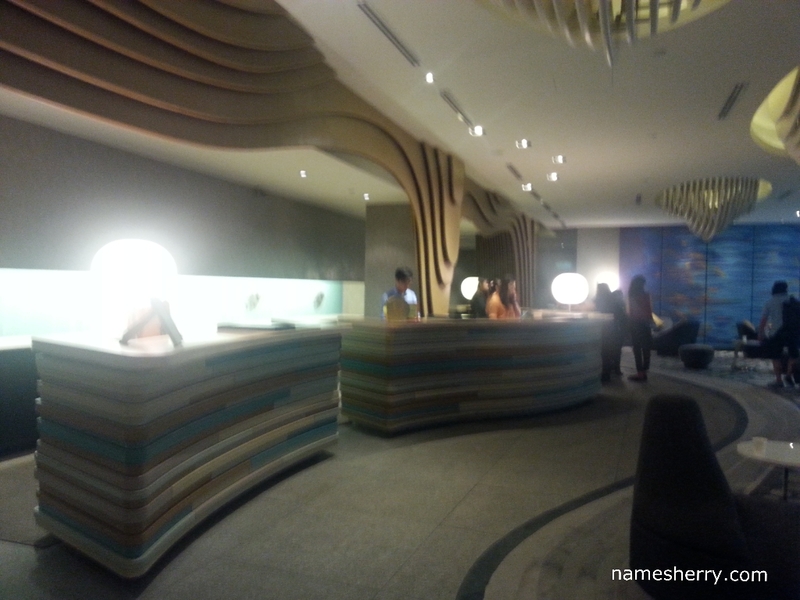 The lobby of the hotel is located at Level 1. It is also same floor with the Harbour Cafe. How you like the welcome Halloween decoration of the Harbour Cafe in The Jen Hotel Puteri Harbour? This is where I have dinner, it's dinner buffet. Are you feeling hungry now after looking at these food? Now how about check out my room. Two singles bed for me because I have a room mate. My room mate for the night Miera. Lovely bedroom and bathroom that I don't want to get out of it. My room has a bath tub and standing shower. Some rooms does not have bath tub. And of course a safe box that you can put your important documents inside, while you are out. The SkyBar, Bar & Restaurant beside the infinity pool overlooks the harbour, providing a spectacular view of the Johor straits through to Singapore. I did a instagram video @sherrygo, do check it out. Behind me is a nice kids pool. Hotel Jen Puteri Harbour, Johor is located in the special economic zone of Iskandar Malaysia, at the Puteri Harbour waterfront in the Nusajaya Zone. It is surrounded by the Johor New State Administration Centre, the medical hub and University Park. The hotel is a 15 minute drive from the Malaysia - Singapore Second Link, one hour from Singapore Changi Airport and 35 minutes from Senai Airport. School holiday is coming soon, if you are planning for vacation with family. You can consider of vacation in Malaysia. I had enjoyed my trip there too. Meeting up with u and our blogger friends. yeah such a fun place to go, can plan vacation to bring kids go next time. Woot! so much fun and that place looks fantastic too! Everybody sharing about the trip, I couldnt go because of prior engagement so its so sad TT I lovee Hello Kitty! I guess it is a great place to let your inner child come out and have a merry time. Thanks for sharing. tried to bring my children there last year, even my daughter refuses to step into the place. She rather go for the Angry Bird Park where she can whack the mickey out of things. LOL. So nice get to go Hello Kitty Oz, I am planing to go with my family in dec. Hopefully it jadi la. Your purple dress fit the color theme so well :) Such a nice place to visit especially for the Hello Kitty fans.